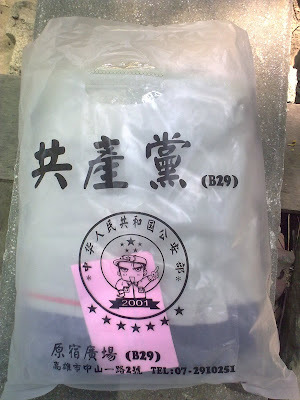 This bag is a result of fusion from Taiwan, Japan, and China. Traditional and Simplified Chinese characters co-exist on it. The main style is Chinese. 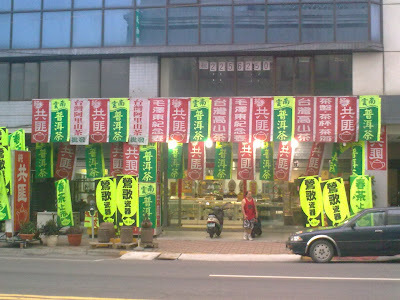 The name of the shopping plaza is Japanese, and the address is in Taiwan. Cell phones of Chinese local brands are called Shanzhai, which means bandit base. Because some of them imitates name brands. They are power packed, but the quality can be doubtful. Some explodes, some with ultra strong radio radiation for better reception. In China, Shanzhai is a word of pride. 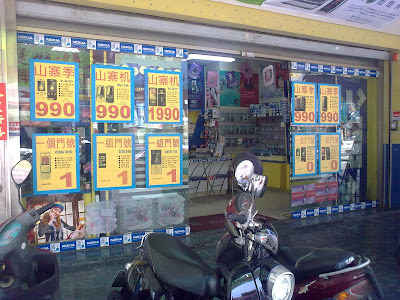 Stores in China are not likely to write the word "shanzhai" on posters. I took this picture out of curiosity. So did the owner as he saw me taking this picture. He came to me and asked me why I was taking a picture of his store. I told him I consider his store interesting and creative. Perhaps my appearance was considered bearable, he let me go.